sadat hoseini, Z., rezaei, Z., dehghan, H., rezaie, M. (2013). Investigation of Aflatoxin M1 Reduction in Milk by Solution of Radioactive Iodine131. International Journal of Advanced Biological and Biomedical Research, 1(8), 904-909. Zahra sadat hoseini; Zahra rezaei; Hassan reza dehghan; Mohammad reza rezaie. "Investigation of Aflatoxin M1 Reduction in Milk by Solution of Radioactive Iodine131". 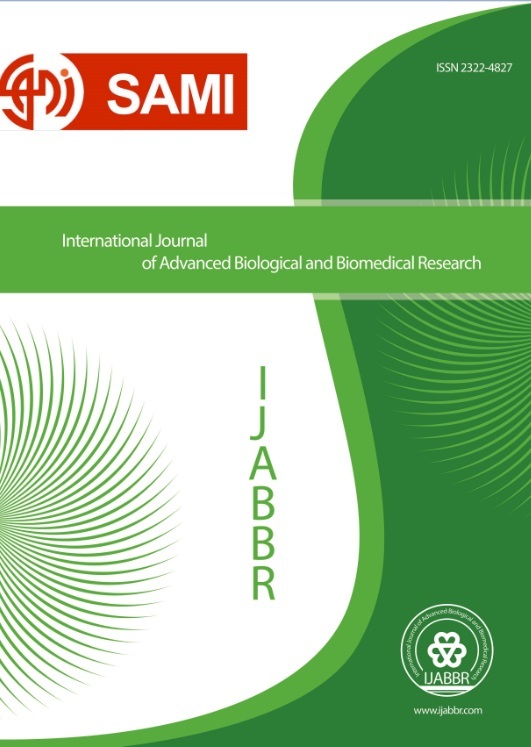 International Journal of Advanced Biological and Biomedical Research, 1, 8, 2013, 904-909.
sadat hoseini, Z., rezaei, Z., dehghan, H., rezaie, M. (2013). 'Investigation of Aflatoxin M1 Reduction in Milk by Solution of Radioactive Iodine131', International Journal of Advanced Biological and Biomedical Research, 1(8), pp. 904-909.
sadat hoseini, Z., rezaei, Z., dehghan, H., rezaie, M. Investigation of Aflatoxin M1 Reduction in Milk by Solution of Radioactive Iodine131. International Journal of Advanced Biological and Biomedical Research, 2013; 1(8): 904-909.